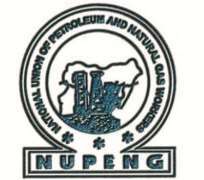 NUPENG as a brand is a stickler to agreement and will not condone management refusing to honour agreements willingly and mutually entered into with the Union. Such refusal to honour agreement ridicules and make nonsense of genuine efforts put into brokering such agreement by genuine stakeholders. We remain resolute in promoting, defending and protecting our member’s rights in agreement with extant rules and civilized conventions, we are equally open to work with all stakeholders that respect agreements and make their words their bond for the enthronement of productivity and favourable growth of the cherished oil and gas industry.